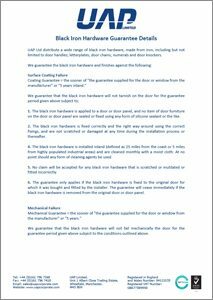 If you are looking to improve and enhance the overall appearance of an entrance door then choosing the right hardware is essential. It is important that your front door provides security and protection, but also has to be aesthetically appealing as well, and therefore there needs to be an equal balance between the practical and the decorative. The traditional Black Iron Round Door Knocker from UAP is a 2-piece door knocker that has a classic design that is perfect for cottages and period properties, as well as large wooden doors and rustic interiors. 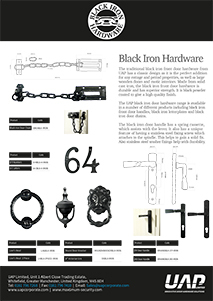 Made from solid cast iron, the black iron round door knocker is durable and black powder coated to give a high quality finish. 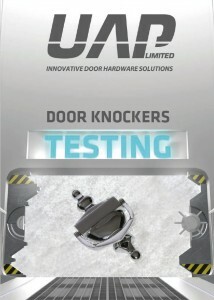 The Black Iron Round Door Knocker is very easy to fit and comes with steel bolts, black washers and dome nuts.